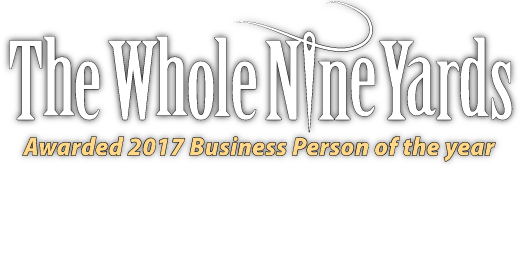 Valarie is Owner/Operator of The Whole Nine Yards. When it comes to the business of custom design, Valarie is someone you want to know. She offers a fierce determination, out-of-the-box ideas, and a drive towards excellence & high accomplishment. 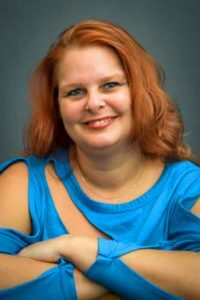 Valarie is a graduate of Sheridan College, Oakville, Ontario in Fashion Technique and Design, fulfilling her dream of becoming a designer. In the last 25 years of her professional career she had had a wide variety of experiences. and Mamma Mia for Mervish industries in Toronto. Coming back to Thunder Bay was a priority as her desire for her own store continued to grow. She was seeing a need for her type of business in Thunder Bay as the alterations & tailoring companies were starting to retire. With this in mind, she was able to formulate a plan to do what she loves to do in a place she loves to live! Thunder Bay Chamber of Commerce.